printplast is a renowned manufacturer of Hotel Key Cards. 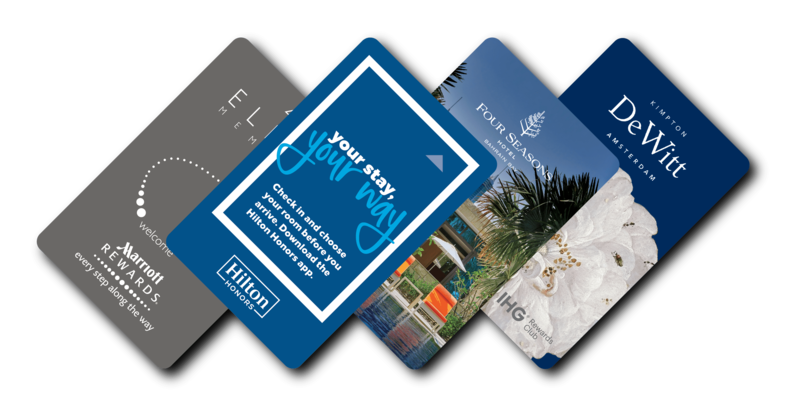 We believe that a hotel key card is more than just a key card, and is an integral part of a brand’s identity. We hate boring, uninspiring cards as much as you. At printplast, we understand that there is no room for cliches and mundane ideas in the fast-moving hotel industry where the rules of the game change every day. We don’t just print cards; we print them with style! To help our clients make a positive first impression on their patrons, we use high-quality materials that not only look good but are also durable. As a customer-centric organization, we put client interests before ours. To ensure our clients do not have to change their locks, we manufacture compatible key cards that can be used with locks by almost all major brands. At printplast, creativity runs wild! Our creative team comprises of design professionals who love to experiment and are not afraid of thinking out of the box. For them, coming up with innovative and path-breaking creative ideas is more than a Key Responsibility Area; it is a passion. Thanks to the efforts of our creative team, we have been and continue to serve clients who need cards with special effects. At printplast, we are against the idea that good things come at a price. We stand by our promise of offering value for money to our clients. Affordability does not mean there is a trade-off involved. To ensure our clients get nothing but the best, we use high-quality RFID chips that go through various quality checks. No matter your location, we will deliver your card to your doorstep. To place your order, call at +90 212 280 41 56. For inquiries, fill out our contact form.